In response to high temperatures and inflammation around sensory neurons, nerve growth factor (NGF) molecules bind to a receptor called TrkA. This kicks off a cascade of chemical signals that "sensitize" an ion channel – called TRPV1 – on the surface of the sensory neuron so that it opens. Once TRPV1 opens, it results in sensory nerve firing that tells the brain to register pain at temperatures that are not normally painful. 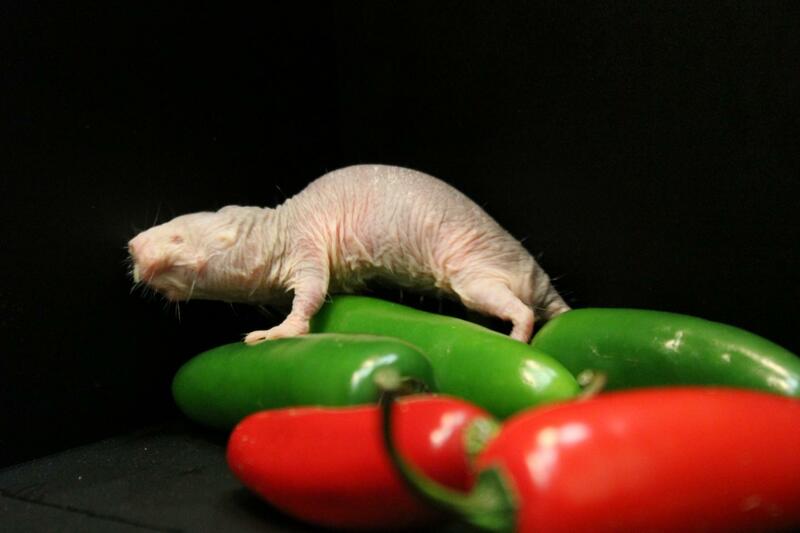 Through more than a dozen carefully designed experiments, Lewin and colleagues found what differentiates the naked mole rat from other animals in this process – a small change in their TrkA receptor. "They live in desert regions underground, and they have to do a lot of work to get their food," says Lewin. "They have the lowest metabolic rate of any mammal. Evolution has shut down everything that is not absolutely necessary – including extra nerve receptors."